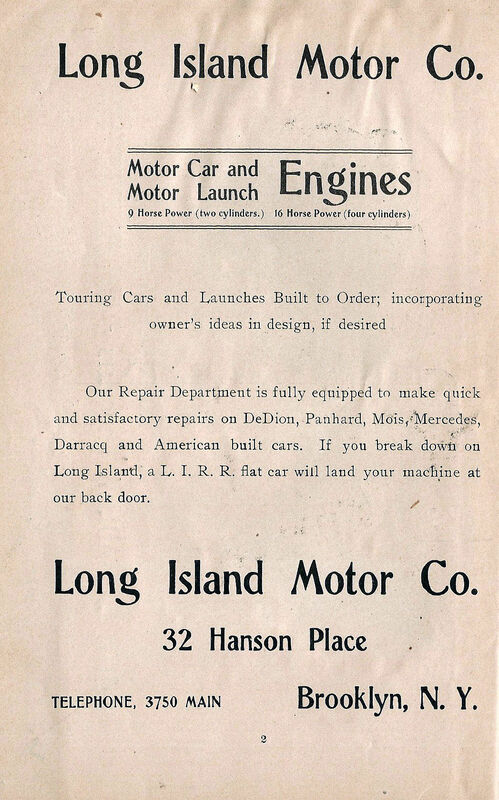 Below are a sample of the program's ads providing insight in the state of the automobile industry on Long Island in 1902. 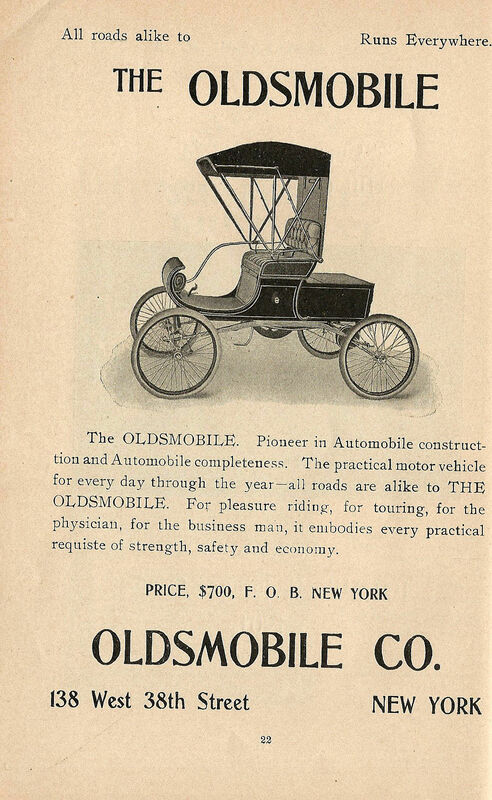 The $700 purchase price in 1902 is equivalent to $19,700 today. 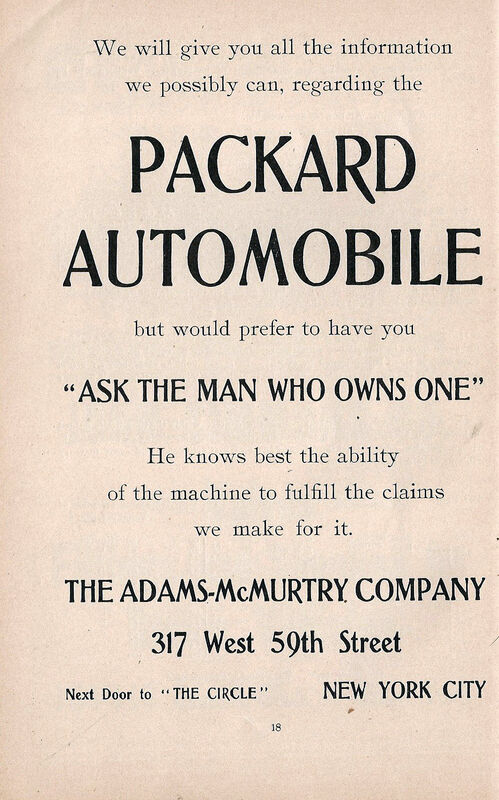 The Packard slogan "Ask the man who owns one" was first used in 1902 and continued until the company's demise in 1958. 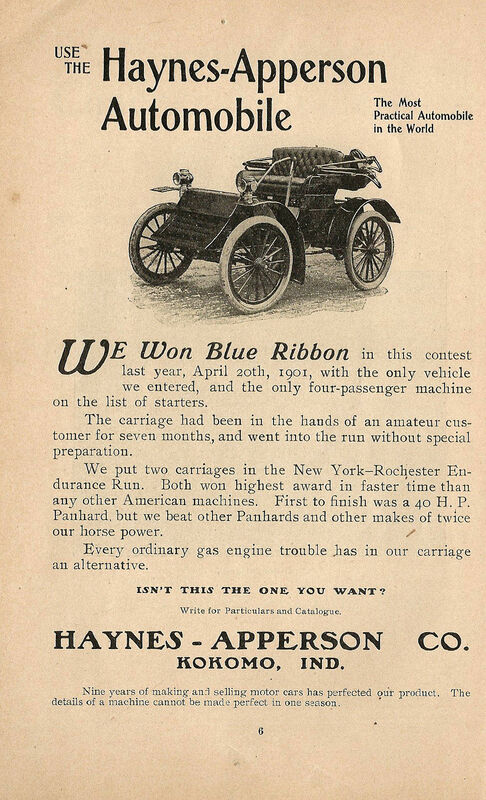 Six years after this ad, a Locomobile would win the 1908 Vanderbilt Cup Race. 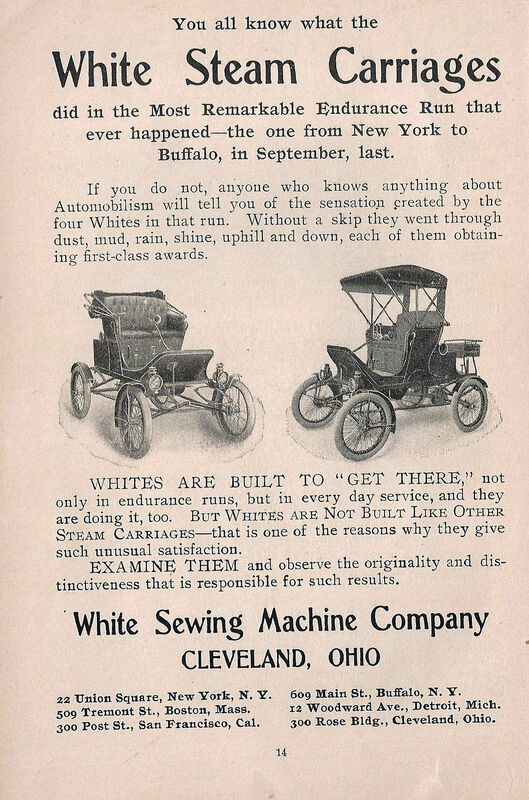 White Sewing Machine Company promoted their steam carriages. 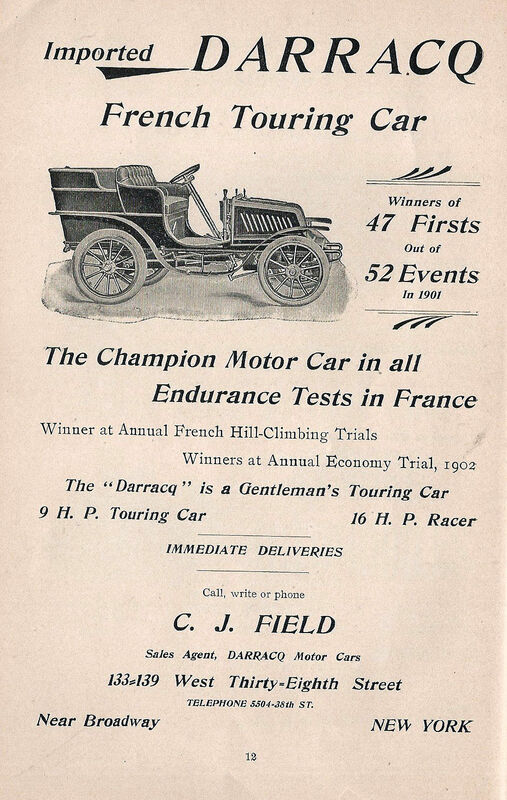 The French Darracq focused on their racing successes. 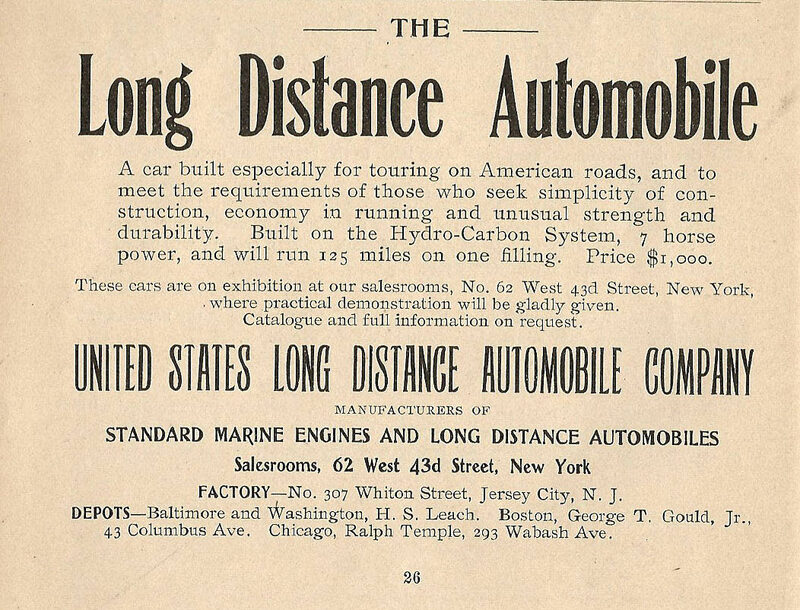 The Long Distance Automoble was built from 1901-1903 in Jersey City, New Jersey. The price of $1,000 is equivilent to $28, 200 today. 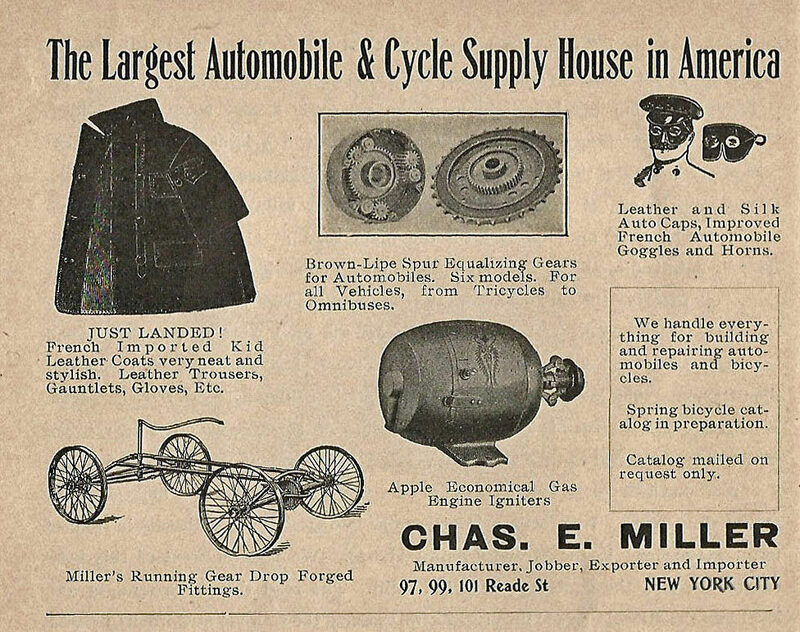 The Crestmobile was built Crest Manufacturing Co. of Cambridge, Massachusetts from 1901 to 1904. 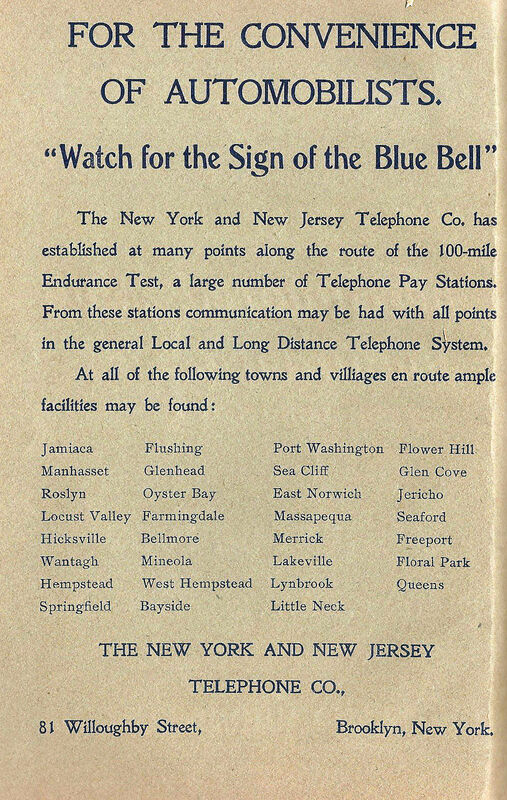 The $600 price is equivalent to $17,000 today. The most practical automobile in the world. 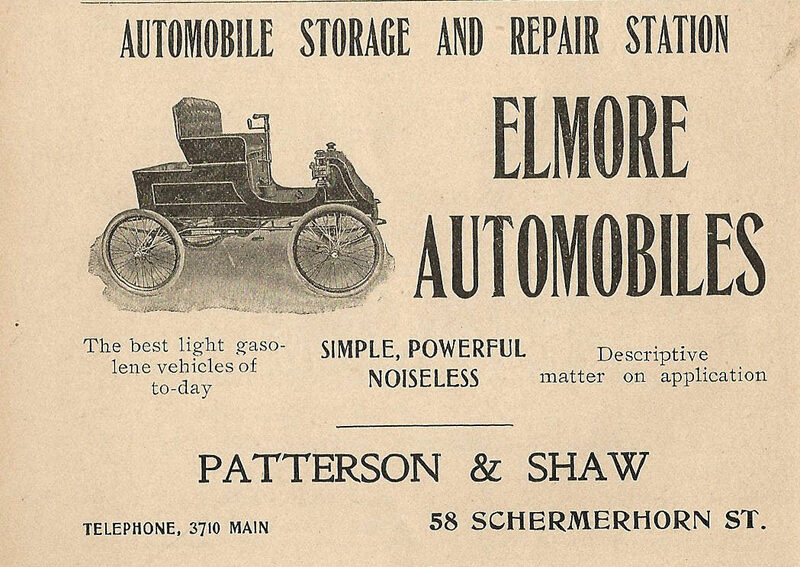 The Elmore Manufacturing Company was purchased by William Durant in 1908 and became a Genral Motors division. The marque disappeared two years later. If you break down on Long Island, a L.I.R.R. flat car will land your machine at our back door. H.B. 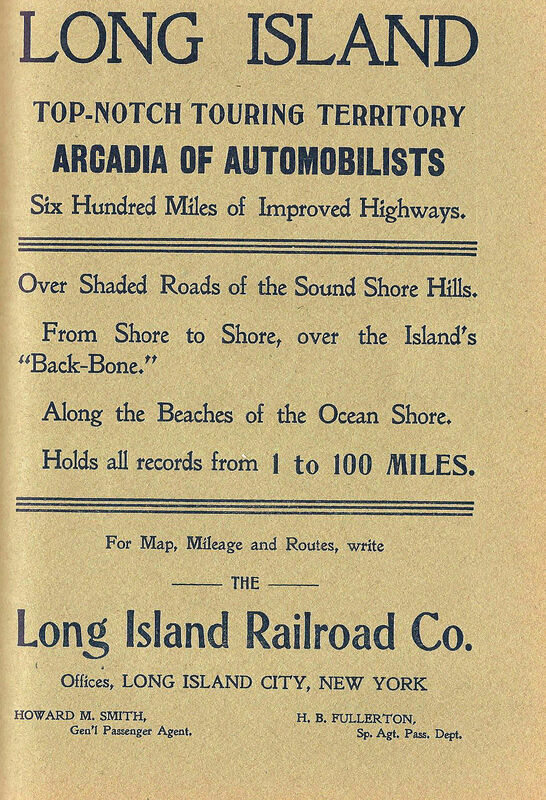 Fullerton and the Long Island Rairoad promoted the "Arcadia of Automobilists". The finest hotel on Long Island offered a free charging station to patrons. Nice collection here Howard. 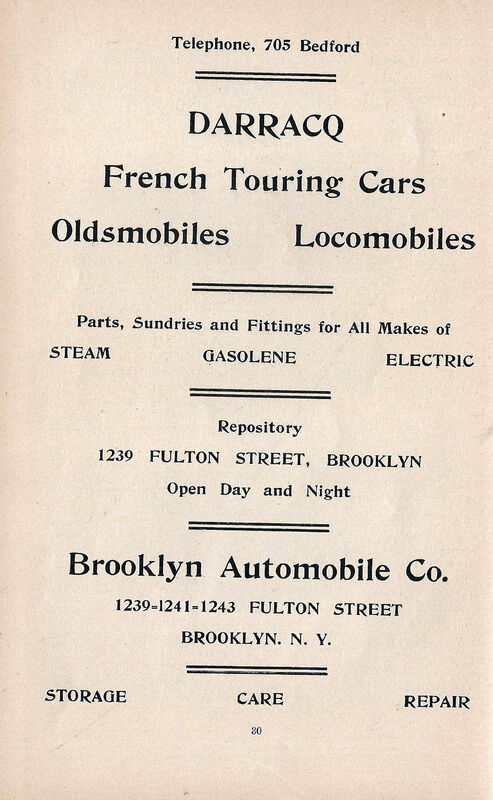 Rare information of the early horseless carriages. 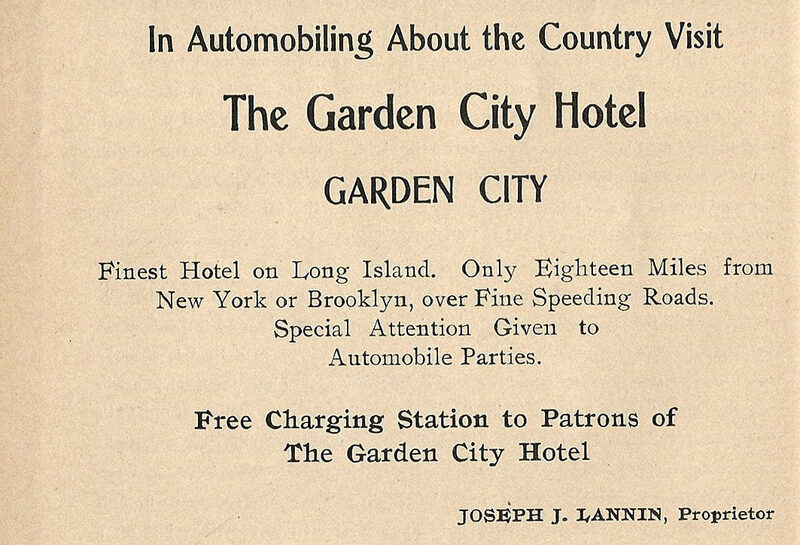 I’m assuming the charging station at the Garden City Hotel was for electric cars? That would be extraordinary for the time! How neat that the LIRR would “tow” your car if necessary. 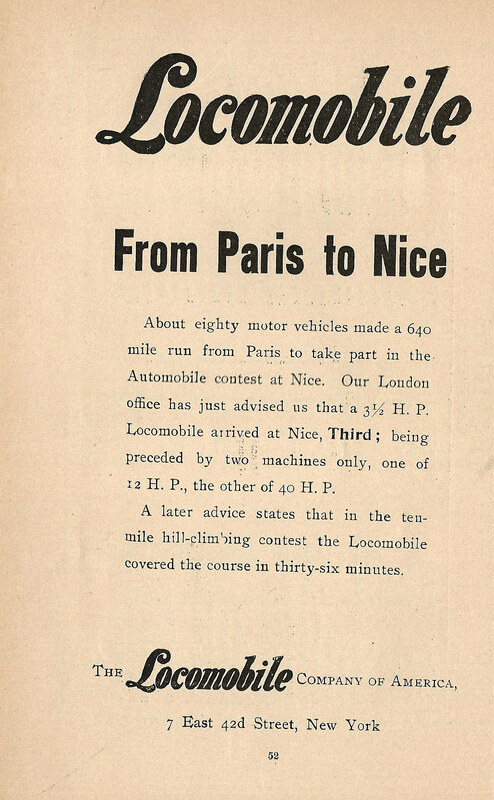 I have a copy of the Official Program of the Long Island Automobile Club’s April 26, 1902 One-Hundred Mile Endurance Test, the same one that Mr. Howard Kroplick mentioned that he had recently purchased in his 14 Oct 2017 posting on this website. Would you (or someone else) like to have another copy? It’s not in the best shape. The biggest problem is some water stains, and some of the pages are coming loose. But it’s all there. It’s yours for the asking. Thanks.